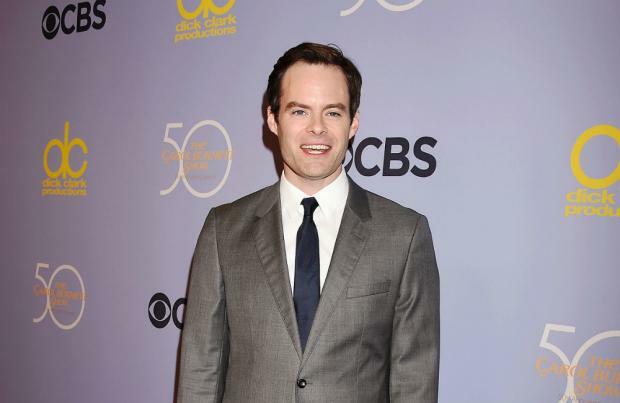 Comedy star Bill Hader has confessed he is "terrible at acting scared"
Bill Hader is "terrible at acting scared". The 40-year-old comedian – who stars as Richie Tozier in 'It: Chapter Two' – has admitted that he struggled to star in scary scenes in the film because he couldn't stop smiling. Bill explained on 'Conan': "This is my first horror movie, and I'm terrible at acting scared, apparently. "When I'm scared, I think I smile. Like, I get nervous and I smile ... We would do takes and the director Andy Muschetti would come and he's like, 'Bill, you need to be scared, man.' I go, I was terrified! He goes, 'No man, you're smiling the whole time. What's wrong with you?' And it's true." 'It: Chapter Two' will also star the likes of Bill Skarsgard, Jessica Chastain and James McAvoy. And James recently admitted he felt "freaked out" by Bill as Pennywise the Dancing Clown in the upcoming movie. The Hollywood star confessed to being a little bit unnerved by the sight of Bill when he was wearing his on-screen costume. James said: "He's amazing. The guy who plays the clown is terrifying.